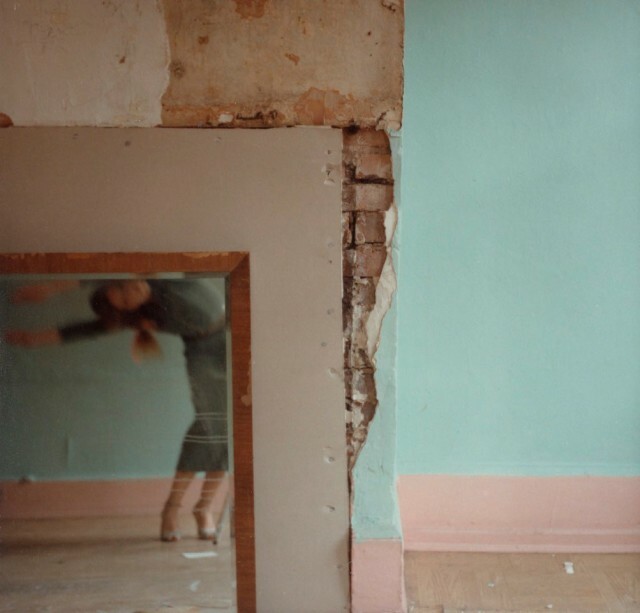 Francesca Woodman was born in 1958, in Denver Colorado, and lived most of her tragically brief life in New York. Having taken her first photograph at 13, she committed suicide in 1981 at the age of 22, but in the few years that account for her career she created an enduring body of photographic work that continues to fascinate and influence today. Woodman appears frequently in her exquisitely odd and unsettling silver gelatin photographs, her body often seeming to blend into her surroundings: caught in a state of metamorphosis she is not quite here, not quite there. In others, she uses a variety of props to create strange and dreamlike tableaux tinted with melancholy. Woodman’s work has been subject to extensive critical study by Western academics and has influenced many important artists of subsequent generations. Woodman’s work has been exhibited widely since the mid-80s with substantial exhibitions at the Cartier Foundation, Paris in 1998; the Pinakothek der Moderne, Munich, 2008 and Espacio AV centre for contemporary art in Murcia, Spain in 2009. Her work was also on show at the Scottish National Gallery of Modern Art as part of the Artist’s Rooms, drawn from the Anthony d’Offay Bequest. The Woodman estate is represented by Marian Goodman Gallery and Victoria Miro and a substantial exhibition of her work was held at Ingleby Gallery in the Spring of 2009. This year there was a major retrospective of Woodman’s work at SF MoMA, Sanfransico, which will travel to Solomon R. Guggenheim Museum, New York in 2012.